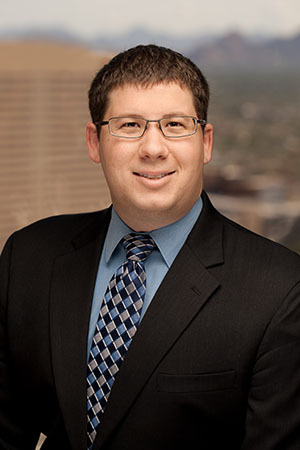 Arizona Court of Appeals Clarifies Notice of Claim Sum Certain Requirement | Jones, Skelton & Hochuli, P.L.C. Today, the Arizona Court of Appeals clarified that a notice of claim that describes multiple causes of action against multiple public entities, but sets forth only a single settlement amount – rather than making a separate settlement demand on each entity – satisfies the “sum certain” requirement under Arizona’s notice of claim statute (A.R.S. § 12-821.01). Going forward, the Donovan case will likely be a strong impediment to any notice of claim argument regarding a sum certain amount that clearly states a settlement amount but does not further delineate which party or which claim it applies to. So long as it is clear that the notice of claim provides a single amount to settle all claims, under Donovan, that is sufficient to satisfy A.R.S. § 12-821.01’s sum certain requirement. We will be tracking this case to see if a Petition for Review is filed by the defendants.